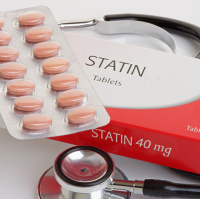 Could statins stop breast cancer returning? Patients who have beaten breast cancer might be able to stop the disease returning with the help of statins, a new study suggests. Scientists believe that usual anti-hormone treatments could be mixed with statins to form more effective treatments. London's Institute of Cancer Research (ICR) says its "hugely significant" finding merits further research through clinical trials. Every year roughly 12,000 patients with the most common breast cancer, ER-positive, see it return. Patients' cancerous cells utilise cholesterol to help them continue growing and dispersing the illness. Researchers believe that statins or other medications could reduce the capacity for these cancer cells to utilise cholesterol and be major players in preventing the disease returning. Breast cancer need not spell the end of holidays abroad for sufferers. Personalised breast cancer-related travel insurance can give peace of mind so that patients can get on with enjoying their getaway. Cover includes round-the-clock emergency support as well as replacement medication. Cancer specialists say the new discovery may result in a tailor-made way of treating the illness. First, patients would take a special tumour test. This would ascertain the chances of the cancer coming back. If this seemed likely, then sufferers could be given different medication. Several breast cancers use the oestrogen female hormone in order to thrive. This means that established practices see reduced oestrogen levels as being key to patient survival. Cancer cell growth slowed from between 30% and 50% when scientists impeded the cholesterol production-facilitating pathway. The Breast Cancer Now charity's chief executive Baroness Delyth Morgan calls the findings "really crucial". She says this is a great chance to make today's most regular treatments more successful. The Breast Cancer Research journal has published the study.